Richard Foreman delivers his second quartet of stories based upon the F. Scott Fitzgerald character, Pat Hobby. In these sparkling stories, the forty-nine year old screenwriter remains his own worst enemy, as well as being plagued by bad luck. 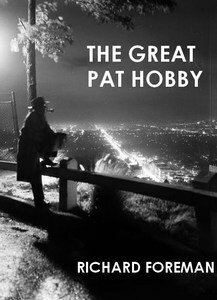 Although filled with wit and satire, Foreman also writes with pathos and melancholy in regards to the fate of Pat Hobby – to the point where we feel both amusement and affection for the classic character. The Great Pat Hobby contains the following four stories. Pat Hobby’s Race Against Thyme.